[New York, NY] – The Dancing Classrooms, Inc. Board of Trustees has announced plans to honor Dr. Roger P. Weissberg with the 2015 Social and Emotional Learning Champion Award at the organization’s annual gala on Wednesday, March 11 at 7 p.m. at New York’s Pierre Hotel. 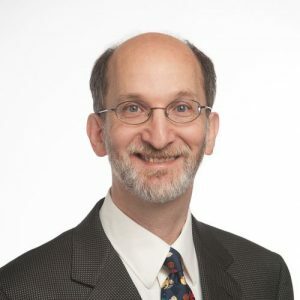 Roger Weissberg, PhD is the NoVo Foundation Endowed Chair in Social and Emotional Learning and Distinguished Professor of Psychology and Education at the University of Illinois at Chicago. He is also Chief Knowledge Officer of the Collaborative for Academic, Social, and Emotional Learning (CASEL), an organization committed to making evidence-based social and emotional academic learning an essential part of education. Among Dr. Weissberg’s many professional recognitions is his Daring Dozen award from the George Lucas Educational Foundation, a distinction he shares with 12 people who are reshaping the future of education. In 2013, he was elected to the National Academy of Education for his contributions to education research and policy. CASEL defines Social and Emotional Learning (SEL) as the process through which children and adults acquire and effectively apply the knowledge, attitudes and skills necessary to understand and manage emotions, set and achieve positive goals, feel and show empathy for others, establish and maintain positive relationships, and make responsible decisions. New Findings in SEL Research & Dancing Classrooms, Inc. According to a recent study by Rob Horowitz of the Center for Arts Education Research at Teachers College, Columbia University, 95% of teachers reported that their students improved self-discipline and focus through participating in Dancing Classrooms and 89% said that their students demonstrated improved engagement and motivation in other areas of school. The 2015 Benefit Dinner Dance will be hosted Wednesday, March 11, 2015 at the Grand Ballroom of the Pierre Hotel located at 2 East 61st Street. Dr. Jephtha Tausig will be recognized as Dancing Classrooms’ Humanitarian Honoree. The evening will include a performance by the Dancing Classrooms Youth Dance Company, featuring students from 291X in the Bronx with music by the Paul Errico Orchestra. There will be a live auction by Hugh Hildesley of Sotheby’s.